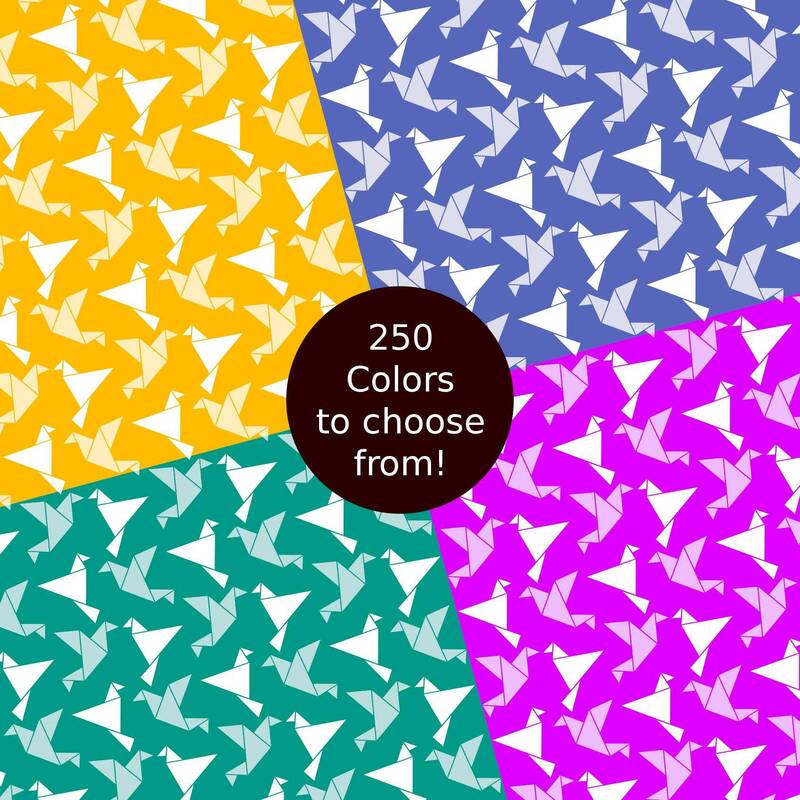 250 Colors Origami Birds Digital Paper Pack. 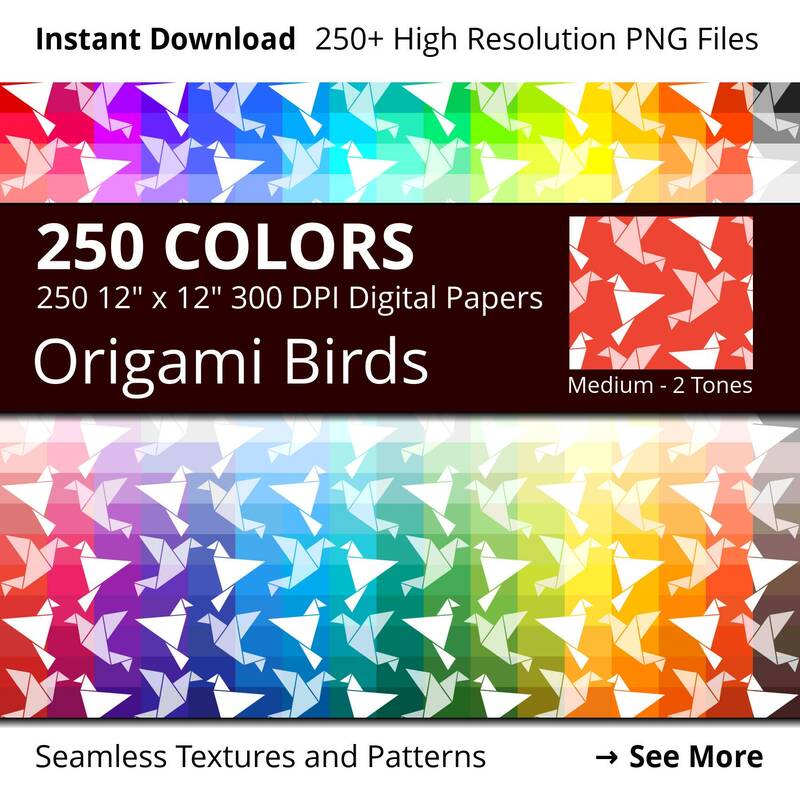 Huge bundle of 250+ 12" x 12" 300 DPI origami digital papers with birds. 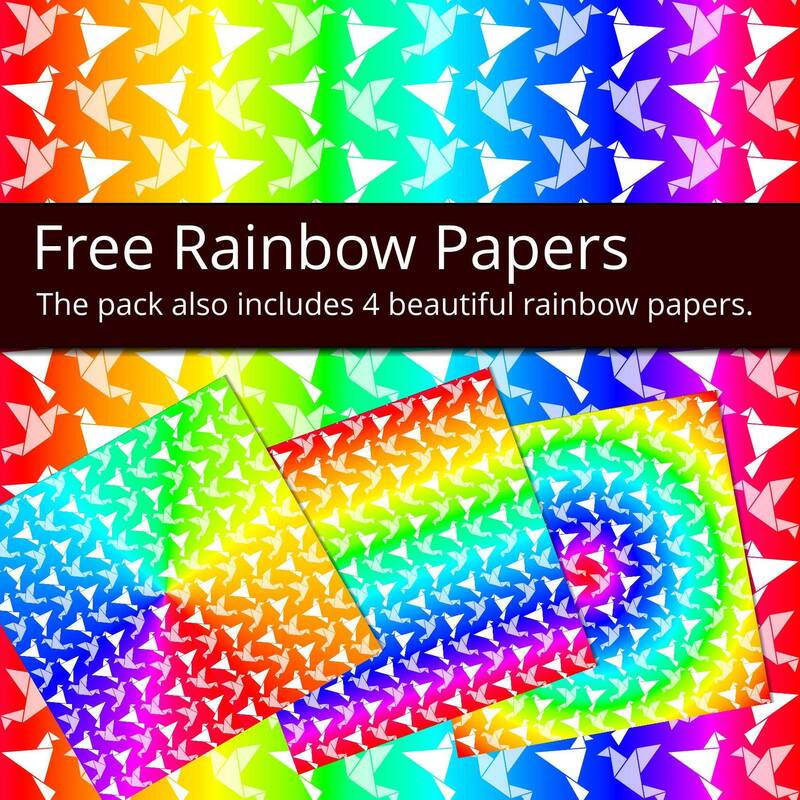 Printable origami scrapbooking paper with a 2 tones origami birds pattern in all colors in the rainbow and more! Instant download with 250+ high quality and high resolution (300 DPI, 3600x3600 pixels) PNG files (one for each color). 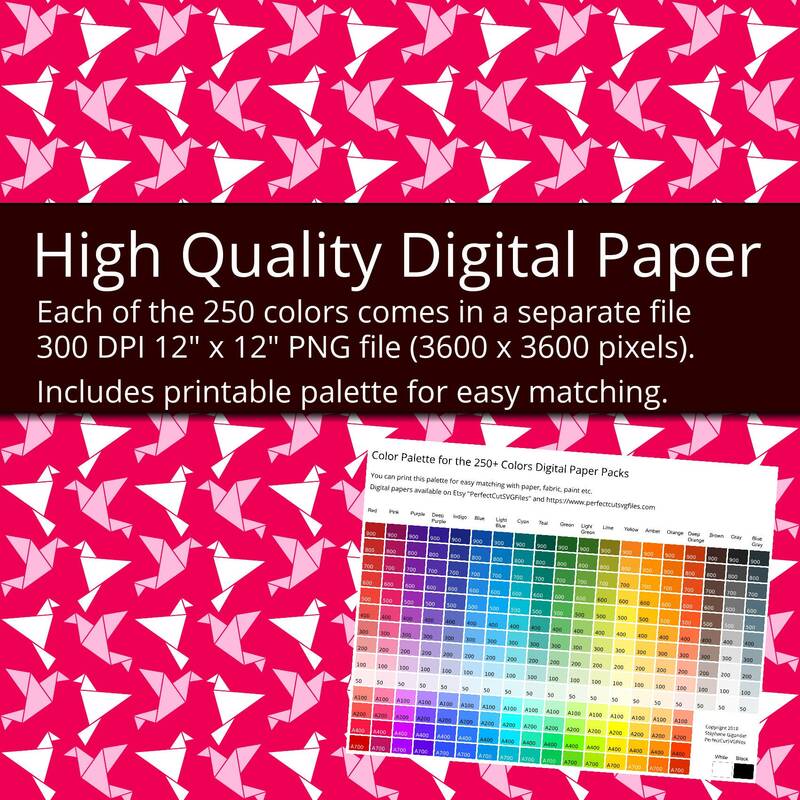 This 250+ colors origami birds digital scrapbooking paper is perfect to print for your craft projects like scrapbooking and origami or to use as a origami birds background, backdrop or seamless texture in your digital projects. Personal use and Commercial use licence (see below for details). 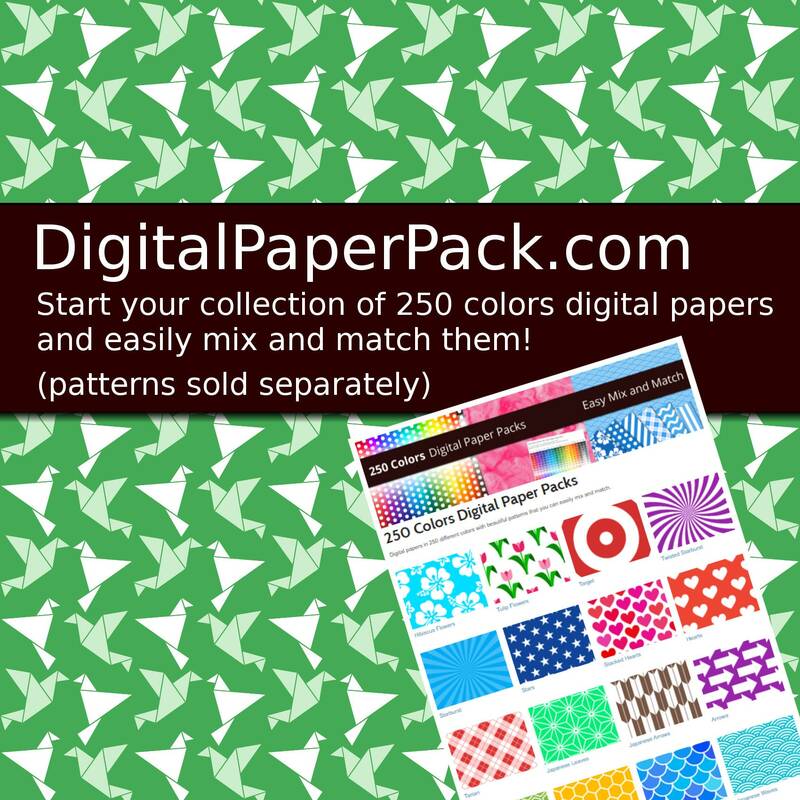 For your convenience, this origami birds digital papers pack also includes a printable color palette. You can use the color palette to quickly find the color you need, and you can also print the colours palette to see what color you will really get with your printer and ink (all printers are different and you will get different results based on paper and ink used). The color palette is also very helpful if you want to match the color of another paper, piece of fabric, shade of paint etc. The 250 Colors Packs are great! 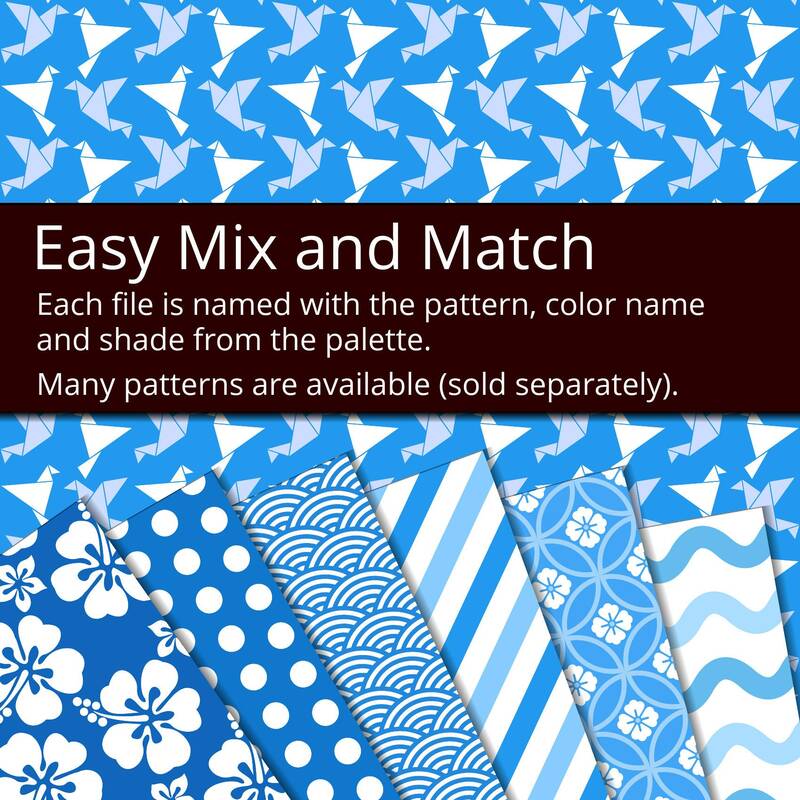 Since they all work with the same palette, it is easy to mix and match patterns and textures and still maintain a cordinated look on any project. Also, all files are uniquely and intuitively named, so they are easy to organize and find in your digital paper library. I want to particularily point out that Mr. Gigandet is very eager to add new patterns and/or textures to this series by customer request/suggestion. I will definitely come back for more.